When it comes to feelings of discouragement, there’s no better place to look for inspiration than within your own shell. The only problem is that this is one of those wretched “easy to say, harder to achieve” scenarios. Inspiration is a slippery customer, often working hand-in-hand with another sought-after commodity, motivation. I believe that most of can usually only achieve one of these at a time but when we’re firing on all cylinders, it can be a joy to behold. British brand NEOM have been doing a little bit of inspiring recently via their Twitter feed… the upcoming release of their limited edition Enchantment candle has filled their feed with images and chatter about one of Britain’s most delightful wildflower, the bluebell. 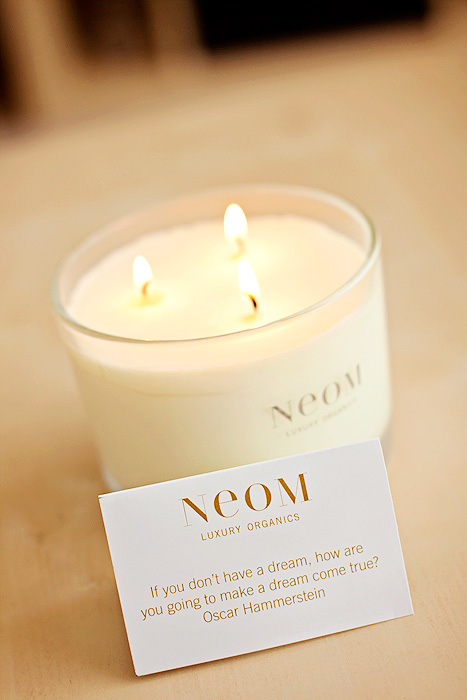 But before we all go crazy for a new fragrance, let me tell you a little bit about a NEOM classic, their Inspiration home candle. 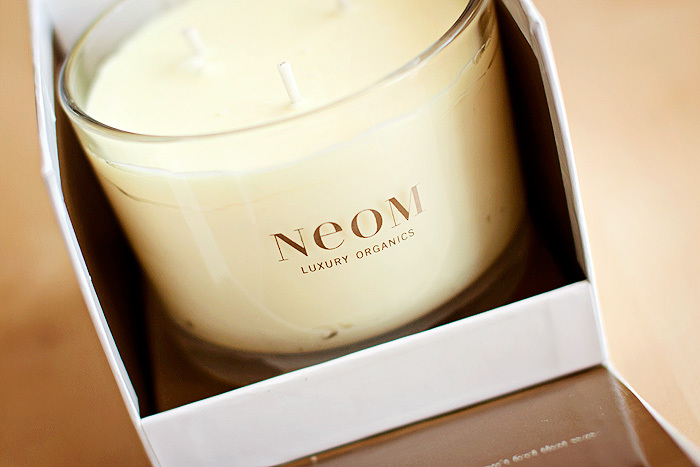 I’m going to start this post – particularly as I’ve reviewed a number of NEOM scents in the past – by categorically stating that the Inspiration Candle* is my favourite thus far. It probably helps that I adore the scent of violets, especially when paired with a blend of roses or grounded in a sultry, woody-base. In the case of Inspiration, the violet has been beautifully fused with the spicy, resinous notes of cedarwood and it is this in particular that gives the candle a heady throw that can be enjoyed throughout the entire flat when it has been lit. For some, candles can be “too strong”… to which I simply say, “open a window”. If you’re concerned about purchasing a candle that delivers value for money, this one delivers more than enough scent for your buck. It’s a beautiful little perfumed powerhouse. Life is about choices, even when it doesn’t feel that way. 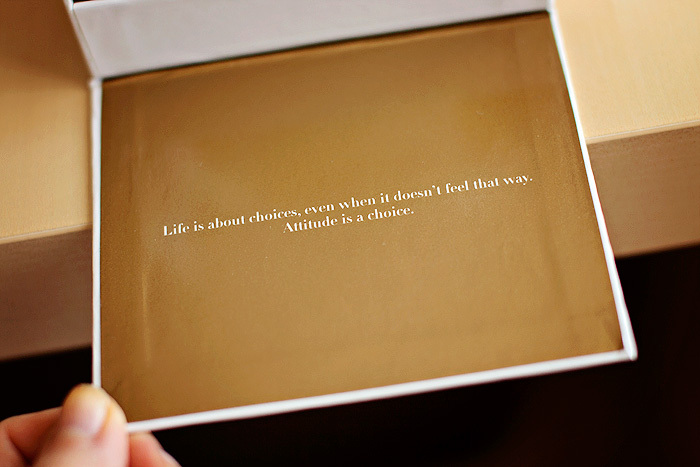 Attitude is a choice. Whether or not this scent actually delivers any bonafide inspiration… well, that would be telling… but I’d describe the feelings evoked from the fragrance as both uplifting and calming. This isn’t an invigorating type fragrance, it’s not one to put a spring in your step but instead, a soothing and deeply aromatic cwtch. And that’s something that’s always welcome in my home. When a recommendation comes from a pure place, I am open and trusting to try it… I might haven’t met you (well, YET), but I trust you! Thank you! You are also inspiration! I also have a perfume from S.Lutens, Bois de Violette, that masterfully combines the ethereal violet with powerful cedar! I need SO much to try this fragrance! I am enjoying the heavy irony of reading a post all about inspiration when using your blog as a major point of procrastination! On a lighter note, I do love a candle. 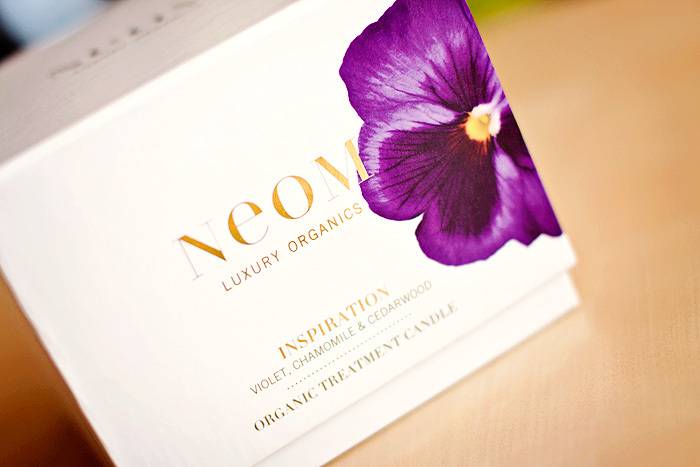 I still have yet to try out Neom (they’re just SO expensive!) but this one does sound delightful.